As winners of the ‘Disrupted by Mobile’ category during the 4YFN Barcelona Awards at Mobile World Congress last February, we wanted to pin down WeFarm, a UK-based agricultural tech (or agtech for short) startup, to find out what positive impact the award has had on their business and perhaps more crucially, the world since. It has been estimated that there are around 500 million small-scale farms worldwide; more than 2 billion people depend on them for their livelihoods. However, the majority of farmers have little or no access to the internet and often live in extremely remote areas. With ongoing and relentless natural disasters and the ever-growing threat of climate change, it is essential for these farmers to receive up-to-date knowledge on how to tackle such events and protect their crops for the future. Meet WeFarm, an incredible company that connects small-scale, and often isolated farmers with one another, to access and share vital agricultural advice, essentially, without the need of the internet. With 90% of smallholder farmers now able to access a basic mobile phone, WeFarm’s goal is to connect millions of farmers around the world to the information they require. WeFarm, the world’s largest farmer-to-farmer digital network, lets small-scale farmers connect with one another to solve problems, share ideas and spread innovation. Utilising the latest machine learning technology, WeFarm’s service works both online and over SMS. 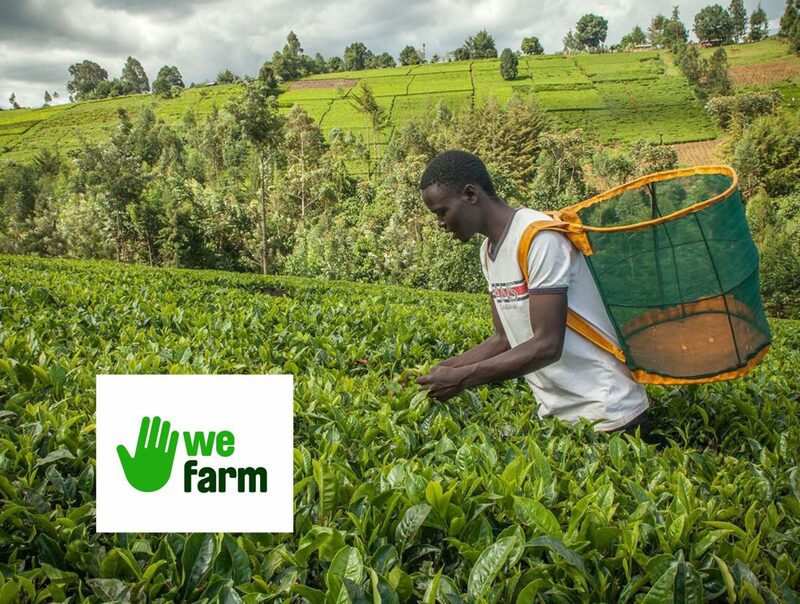 Knowledge shared on WeFarm can help farmers to produce a higher quality product, increase yields, gain insight into marketing pricing, tackle the effects of climate change, source the best seeds, fertiliser and loans, diversify agricultural interests, and much more. Since its founding in 2015, WeFarm has been named one of ‘Africa’s Most Innovative Companies’ by FastCompany and has won Google’s Impact Challenge Award, TechCrunch’s Europas-Tech for Good Award, and the European Union Commission’s Ideas from Europe prize, among others. The company is headquartered in London with field presence in Nairobi and Kampala. Our application centred around how we are using machine learning to power our peer-to-peer network for the billions of people in the world without internet access. WeFarm’s unprecedented growth in offline markets — we now have over 480,000 farmers using our service — is a testament to the power of connectivity for rural audiences. What encouraged you to apply for the 4YFN Barcelona Awards 2017? Wayra, Telefonica’s startup accelerator programme, recommended that we apply. We were part of Wayra’s programme for startups in 2015 and trust their guidance. As the winner of the Disrupted By Mobile category, what words of encouragement would you give to other entrepreneurs looking to apply? As the Founder of a tech startup, there are countless pitch platforms to choose from. Without a doubt, the 4YFN Award was one of the best competitions we’ve ever won. Firstly, the exposure we received both at 4YFN/Mobile World Congress and globally was unparalleled – especially as a business operating in partnership with global mobile networks. Secondly, the network of peers we met at the event was of a very high calibre. For any entrepreneur looking to apply, I cannot recommend it highly enough. Any tips on how to prepare your pitch? My one piece of pitch advice is — stay true to your vision and celebrate your hard-earned achievements. Do all of your prep with those two thoughts at the top of your mind and you’ll be a success, whatever the outcome. What has happened for WeFarm since winning the 4YFN Award? Do you have any success stories that you wish to share with us? We’ve been on an incredible journey since winning the 4YFN competition. Before 4YFN, roughly 150,000 farmers had signed up to WeFarm, making us the largest farmer-to-farmer digital network in the world. However, since then over 328, 000 farmers have joined WeFarm — bringing us close to half a million farmers now connected. Moreover, since the win, we have secured partnerships with Heifer International, Technoserve and Rural Outreach Africa among others. We also launched a pop song and a radio drama in Uganda and began work with our first celebrity spokesperson in Kenya – all while improving our algorithms and firing off commercial tests with some amazing partners. It’s been a great few months overall and we’ve got some more exciting news to share soon … stay tuned! 4YFN at Mobile World Congress Barcelona 2018 takes place from 26-28 February 2018 at Fira Montjuic, Barcelona.